The sleek and aggressive styling is utterly Viper and what better way to show your love to this legendary roaster than to buy into one of the last ever made? 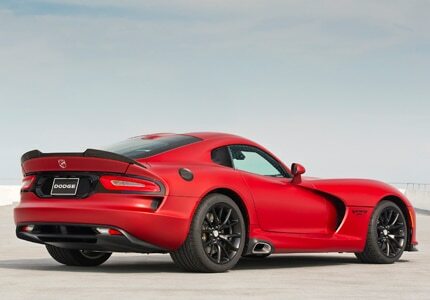 With its foreboding hood-forward stance and slightly serpentine appearance, the American-made Viper coupe wows in the driveway and on the highway. This American-made coupe is as fierce under the hood as its appearance, accelerating from 0 to 60 in a swift 3.4 seconds.